Total Vacancies: Tentatively 335 in total. 1. The candidate should have a graduation degree in B.E/ B.Tech/ B.Sc (Engineering) Degree from any recognized university or an institute. Candidates should click on the Careers option and read all the instructions carefully. Candidates have to upload all the relevant documents as listed in the rules and regulations. Candidates have to give the originals of the same documents and also a set of self-attested copies of the uploaded documents/certificates for verification. The documents/certificates which the candidate has uploaded must be clearly visible. Candidates should note that in case of any discrepancy during the document verification the candidature of the candidate shall be canceled for submitting false documents. (A) Check and certify that the details were given by the particular candidate in the application form, regarding the details of education background, work experience, salary slips etc. Have been properly verified for the records and are true and accurate without in fraud. (B) Clearly clarify the position of the candidate who has been shortlisted in the proper hierarchical structure of the organization, also certify the grade and pay scale. 2. Applications which are received incomplete, not in the correct format shall be rejected, details of pay scales missing. It is advised that the candidates who are interested in applying read all the guidelines properly and fill it in the correct format. It may be noted that any default or clarification at a later date will not be entertained and will result in rejection. 3. Candidates who wish to apply for more than one post shall submit separate applications for each post. 5. 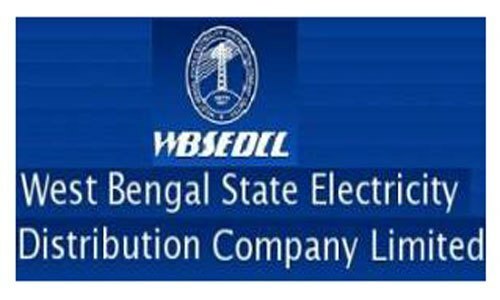 If WBSEDCL(West Bengal State Electricity Distribution Company Limited receives a large pool of applications, then only those candidates who have been shortlisted on the basis of qualification, experience in the relevant fields shall be considered for the post. 7. The post is for West Bengal. Hence, only those candidates shall apply who are flexible in serving in West Bengal.